The Government of Alberta has launched online surveys to hear from Albertans about rules for helmet use for off-highway vehicle riders on public land and penalties for excessive speeding. The feedback from Albertans will help inform decisions to increase safety, and decrease transportation-related injuries and deaths. Individual Albertans are invited to respond to the survey available at http://www.alberta.ca/traffic-safety-act-consultation.aspx. Key stakeholders such as businesses, not-for-profits, indigenous communities, municipalities, associations and clubs, that may be directly impacted by potential new rules for helmet use for off-highway vehicle riders on public land are encouraged to respond in a separate survey. Your response to the organization/stakeholder survey is valued and we thank you for taking time to share your input. For your convenience, attached is a copy of the survey questions. This document has been provided for your reference only. To complete the survey, click here: Off-Highway Vehicle Survey. Please submit all responses in the online group survey by September 25, 2016. If you believe other groups should receive the link to the organization survey, please feel free to share the survey link. If you wish to encourage your members to provide their individual feedback, please have them complete the public survey available here or at http://www.alberta.ca/traffic-safety-act-consultation.aspx. If you have any issues completing the survey please contact the Office of Traffic Safety at trans.officeoftrafficsafety@gov.ab.ca or by phone at 780-427-8901 (toll-free by first dialing 310-0000). 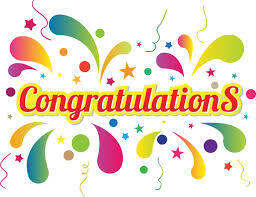 Congratulations to John Gardner of Stony Plain, Roy Csuhany of Spruce Grove and Joe Chamulke of Sherwood Park for participating in our survey and winning a 2016/2017 ASA Membership Trail Pass. Thank you to everyone who participated and helped us with your input . Here are some of the comments made: (1) Thank you for the work that the club does for recreation and as ambassadors for our community (2) We always enjoy spending time on your great trail system. (3) Keep up the good work guys! We have some of the best trails around. I have friends that travel from far to come ride with us! (4) As a senior I look forward to spending more time on the trails next year. (5) Came out to ride 4 years ago, was amazed at the trail system, conditions of the trails, staging areas and best of all the firewood and ax at the stops (could not believe you put an ax out for people to use). 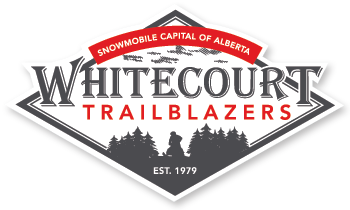 I buy a trail pass every year in Whitecourt to support the trail system. Keep up the great work and see you next year. Crank Up party and 1st General Meeting of the Season – Wednesday, September 14th. Come and join us to kick off the season at Eagle River Staging Area at 6:30pm. 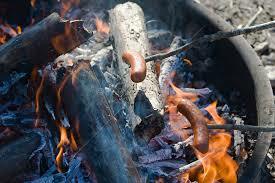 Social (hotdogs available)- 6:30pm and Meeting at 7:30pm. Looking forward to seeing old friends and meeting new ones. Come see what we have planned for the upcoming season. Eagle River Staging Area North on Highway 32, Approx 8 km north of Eagle River Casino. See you there.